Boats are supposed to stay in the water. At least, that's what I thought before I started the 2017 Solar Boat Team as a part-timer. You can imagine my amazement when I saw a boat with wings almost completely take off out of the water. It only took one year for me to become completely hooked on the project, the competition, and the people. 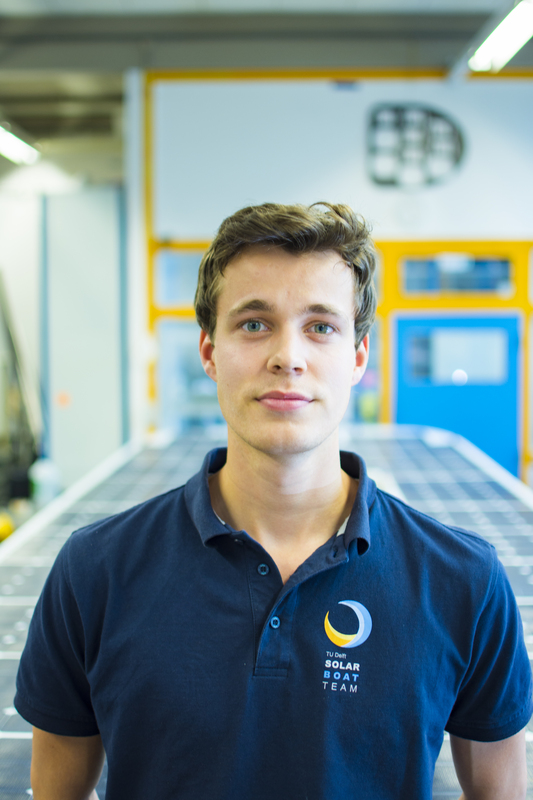 After finishing my bachelor in Aerospace Engineering, there was only one thing on my mind: join the Solar Boat Team for round two! By taking a gap year, I’m able to work full-time (and maybe a little extra) on the project now. With our new goals, this year’s boat is going to be bigger, stronger, and more spectacular than ever before. One way or another, we’re going down in Solar Boat history.